Does God exist? Is atheism rational? What is the position of science in Islam? Join us on an intellectual, spiritual and philosophical journey guided by our international guest: Hamza Tzortzis. 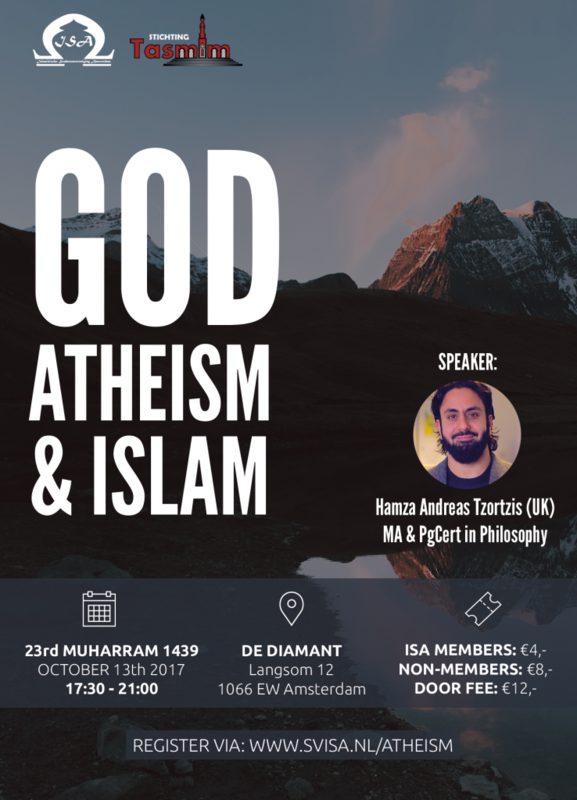 Hamza Tzortzis has a postgraduate degree in Philosophy and is currently continuing his postgraduate studies in the field. He is a prominent speaker, instructor, debater, essayist, and author of the well-received book ‘The Divine Reality’. He will not only offer us insights into the major claims and implications of atheism, but he will also address the Islamic argument for the existence of God.